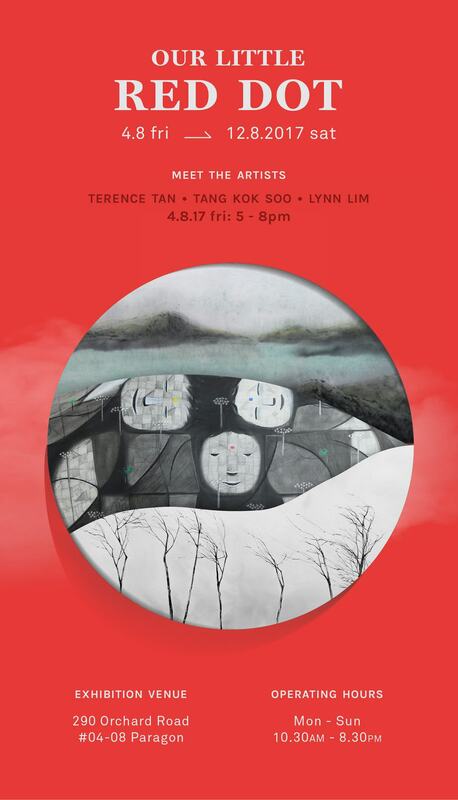 We are featuring 3 local artists in our latest exhibition at Paragon – Lynn Lim, Terence Tan and Tang Kok Soo. Ethereal and sublime, Lynn’s paintings explore a very personal emotional affinity with the natural world. Each painting is guided by the artist’s need to express a connectedness that defies articulation. Created with austere lines and almost parsimonious washes of ink, Lynn’s landscapes evoke a poignant universe that hints of the surreal. Terence Tan’s exploration of nature in Singapore through his subtle Chinese ink creations are often surprising and varied. In a city-state famed for the harmony of its concrete edifices, Terence’s mangrove swamps, ubiquitous raintrees and vistas of offshore islands are a gentle, reminder that despite our rapid urbanisation, nature still exists, unobtrusive and diffidently out of sight. A former engineer who made the momentous move to become a full-time artist in 2013, Tang Kok Soo’s new series showcases his love of geometric form and the arrangement of proportions in linear composition. His works reflect on how kindness and patience is fundamental to the progress of society and this series continues Tang’s intense personal commitment to bringing a philosophical discourse to his art. Do come down and support our local artists today!